Electricity rates are on the increase across the board in almost every state and province. With winter coming on we thought it was time to identify 8 Steps to Reducing Your Electricity Bill to help consumers control their costs for electricity and heating fuel. Anytime you can reduce your overall costs, leaving money for other important activities, you are ahead of the game. The important thing is to have an energy saving attitude in your family so that everyone contributes to reducing your overall energy costs. what follows is a partial list of things you can do now to keep your costs down. Phantom Power – is power used by devices that are turned off, but are still drawing power to allow them to turn on instantly. Computers, TV’s and many other devices of this sort are drawing power 24 hours a day. Unplug them rather than just turning them off if you do not plan to use them. LED Bulbs – At least convert to fluorescent bulbs if you have not already done so. LEDs will save even more money and are coming down in price as well. They last longer and save that increasingly costly electrical energy. Programmable Thermostat – allows you to control when you heat your home or use air conditioning. 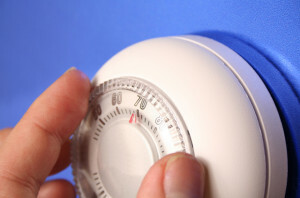 Adjust the temperature lower when sleeping and away from the home in the winter. Adjust the temperature up when not home or at peak periods in the summer. Dishwashers – if you have to run a dishwasher, especially the self drying kind, try to run them at night during off peak hours to reduce your energy costs. Laundry – the same applies to running washing machines and dryers. Also use cold water to reduce your costs even further. Less hot water means less heating related energy use. Clothing Lines – something our parents used to do. Hanging the clothes out to dry saves energy too, however if you live in a polluted environment, use the dryer in non peak energy hours. Microwave – using a microwave or a toaster oven is far more efficient than using an electric oven. Windows and Doors – apply caulking, weather stripping even plastic window covers to increase the insulation value. This will keep your home warmer and reduce energy use. 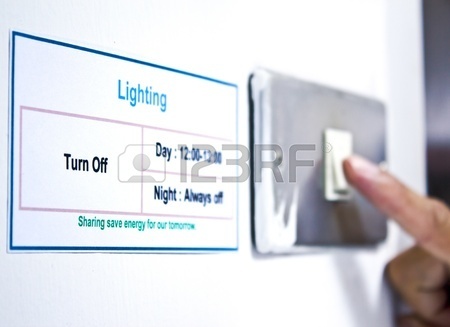 Turn Lights off – When you are not in the room, turn off lights, TV’s , radios etc to reduce your electrical costs. 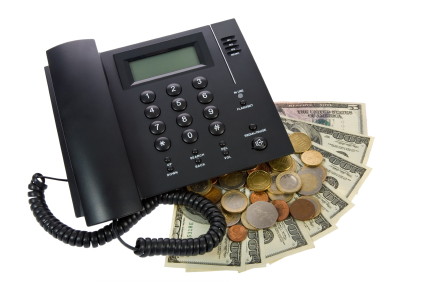 The telephone companies are being forced to give up land lines as a business. Many people are just going with either cell phones, mobile phones or they are installing voice over IP telephone lines. They’re just so much cheaper, with many more features and much more convenient. Although it is sometimes difficult to change, it is definitely worth your while to make the change. At least look into it and consider your options. Get Rid of Your Land Line Costs and reduce your monthly utility costs. This is another great way to reduce your monthly bills and save money. Check out voice over IP lines from your local carrier. As well as new entrants that are offering voice over IP over a DSL line or cable TV high speed access. You will need to make sure that you have a high speed line to accommodate your VoIP service as well as your regular data. A voice over IP line can be installed anywhere that you have a high-speed data connection. They work over DSL as well as high-speed cable. In fact once you have transferred your regular telephone number to a voice over IP line, you can move the voice over IP modem to any DSL line. Which means you take your telephone number with you. Now you can travel and still receive calls as if they were local calls from your friends, family and business associates. Voice over IP lines also come with many more features. For example in addition to the standard features like voice mail, calling line ID, calling name and call forwarding. Consumers can receive an email of their voice messages left on their voice mail with the wave file attached. They can listen to voice mails on their computers as well as other smart phones. Without having to make long-distance phone call, Or use airtime. In addition one great feature that I really like is that I can designate specific phone numbers as extensions to my main voice over IP line. I can now designate my cell phone as an extension and regardless of where I am both my home phone as well as my cell phone will ring at the same time and I can choose to answer the call on my cell phone or if I’m at home on my land line. The land line of course is a voice over IP line. Not all carriers will offer this service, so you will have to shop around and make sure that you pick up a voice over IP service that offers the features that you’re looking for. Regardless they all provide many more features than what the typical Telephone Company land line service will provide. In addition the cost will be much lower as well for the same service plus all the new features. After having used this service for a few months, we can definitely confirm that we are really satisfied with the service. Between the voice mails that are emailed to you, the extensions that can be added using your cell phone as well as all of the regular features, we are more than satisfied with our service at the low price that they have offered us. Do not be afraid to check around and obtain the best service you can find at the best price. With the cost of energy going up all of the time, many people are asking the same question. Should I close vents in unused rooms and try to reduce the amount of energy used to heat their homes? Depending on the method of heating your home shutting off the heating system in a room or closing a vent in a room can decrease the amount of natural gas, heating oil, or electricity that is used through the winter, however there are several items to verify before you take this step. The first is to make sure that there is nothing in the room that would suffer from not being heated. Any plants should be removed particularly if they are susceptible to the cold. Some plants are quite sturdy and will go into a dormant state until it warms up again. They take less water as well so you will need to reduce the amount of water you give them. Should I close vents in unused rooms – Water Pipes? The other major reason that can be a problem when you shut off the heat is water pipes that could freeze as a result of not having a room heated. Water pipes to bathrooms etc are typically installed inside walls that are on the interior of the home. These pipes are kept warm by both rooms on either side being kept at a reasonable temperature well above freezing. Some water pipes are installed inside exterior walls and are kept from freezing by only the room that they are in. If this happens to be the room that you decide to turn the heat off i.e. close a heating vent or turn off the electrical heating system for that room, there is a real possibility that the pipes located in the exterior wall could freeze solid if the outside temperature goes below 32 degrees. If the pipes are full of water and they freeze, the water expands as it turns to ice. It cracks the pipe allowing water to leak out and damage the walls, floors and rooms below the leak. This can be a major expense in damage if the leak is not dealt with quickly. Some insurance companies will not cover these damages either in situations where the heat has been turned off and the water pipes have not been drained. Bottom line if you are concerned that frozen water pipes could do a lot of damage in the winter when a room is not heated, do NOT turn the heating system off or close a vent. The damage in dollar terms can be extensive and it is just not worth taking the chance. Your potential savings will be wiped out. During the summer time, this same room can be left alone and not cooled to save some energy. Closing vents and not cooling the room will not result in any damage. Remove any plants which might suffer from higher temperatures. 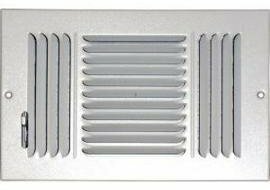 Can you shut off vents in unused rooms. You can turn off the heat in unused rooms however there are some things that you should consider before taking this step. Turning off the heat can have consequences as well as saving you money in terms of your overall heating costs for the winter. In addition in the summertime you may want to turn off the central air-conditioning distribution to those same rooms to reduce the amount of energy used to cool your house. Make sure there are no water pipes in the walls in any room where you shut off the heat. In some cases the water pipes are encased inside the outside wall of your house. Turning off the heat in that room could cause those pipes to become cold and even freeze in cold weather. Water pipes can easily freeze in the wintertime and if you turn the heat off these pipes can freeze causing water leaks. As water turns to ice inside pipes, the ice expands and will break those pipes causing water leaks once the ice thaws. Your insurance may not be willing to pay for damages if you did not heat the room or turn the water off to those pipes and drain them. If you do turn the heat off in a room with water pipes you may also want to turn off the water to those rooms and drain the pipes to prevent the pipes breaking if the water where to freeze in the water pipes. Draining individual water pipes in the home is almost impossible unless you could isolate those particular water pipes from all other sources. Aside from worrying about freezing pipes, consumers can turn the heat off and close the door and not be concerned about the cooler room. They will save some energy costs in that they do not need to heat as much space as normal during the winter. And as we mentioned at the beginning of the post closing off the vents during the summer and not cooling the same room will also save energy by not having to cool that particular room. If there’s any doubt that there might be water pipes inside the walls of the room that you’re thinking about turning the heat off and not heating that particular room then we suggest that you continue to heat the room during wintertime to avoid any possibility of any kind of accident. Water damage to a room in a home can amount to thousands of dollars in damage. Most people cannot afford this. If nothing else, leave the heat on in the room. Just turn down the temperature in that particular room to reduce the cost of heating that particular area. You also should confirm how much insulation is in the walls. The insulation is protecting the water pipes and also insulating your home. You may want to increase the level of insulation in the walls to reduce your overall heating cost. Winter is here and most of us have turned our furnaces on to begin heating our homes. It is also the time to have a technician come in and check your home’s furnace to make sure that it is ready for the next season. Cleaning, a tune up perhaps and any parts that might need replacement will be on the menu for these checkups. While you are at it have your gas fireplace looked at and also your hot water heater. These all use energy and if they are working properly they will reduce your monthly heating costs and also operate safely keeping you and your family safe for the coming heating season. This was a question that the writer recently had to face as part of my annual furnace check up. I called a technician who is in the business of doing annual checkups and cleaning. His proposed fee was $80 to come in, inspect the furnace, clean it and prepare an estimate of costs for any repairs if any are needed. I would have to pay labor and parts for any repairs that he identified. Sears, coincidentally sent us an insurance proposal that had a fee of $230 coverage for 16 months. This fee includes check up and cleaning fees, plus any repairs including parts and labor for our furnace. Our furnace is about 11 years old at this point and we originally purchased it from Sears. We decided to pay the extra fees just in case there are parts to be replaced. Normally we do not suggest that consumers buy insurance of this kind, however the costs are too high if parts are needed. We would rather pay a little extra to have peace of mind and to potentially save some money. This is a great starter list of ways to reduce your heating cost this coming winter. Depending on your home and lifestyle there may be other ways to reduce your energy cost. Take a look at the way you live and how you use energy and make adjustments to reduce your cost of heating even further. Let us know so we can add them to our list for other readers. If you decide to turn the heat off in some rooms, a word of caution is in order. If that room has water pipes in the walls or feeding that room, consumers should be careful to avoid the pipes freezing in cold weather. A room with no heat could possibly go below freezing and freeze the water in the pipes causing them to burst the pipes and cause a serious water leak. A final word regarding purchasing insurance coverage for your furnace. It is really all about the amount of risk that you want to take and whether you can afford the bill if and when it needs to be repaired. The return on investment is really peace of mind and not how much money you are going to save. Do the math and make a decision about whether you can afford the risk vs. paying for insurance. Saving money on insurance could help pay for a new furnace if you avoid paying insurance for a long enough period. This post is about how to reduce electricity consumption and lower your electrical bills. This web site is all about how to reduce our costs around the home and one of the largest utility bills is the electrical bill. Consumers living in the southern US use a lot of electricity to cool their homes while consumers in the north will use more to heat their homes , especially if you have electrical heating. Any time you run a motor, turn on a light or use an appliance at home you are consuming electricity. As we move to the so called smart cars and rechargeable cars, it will only get more important to reduce our electrical usage to avoid those huge bills. I have already reduced our annual bill by over $400 simply by turning off lights, converting to florescent bulbs and only running the AC and the pool pump during hours when the cost of electricity is reduced. In our area, the cheapest electricity is at night after 7 pm until 7 am, so if I have to use electricity for things like the clothes dryer, the AC and the pool, I try to run them at night and avoid the more expensive hours. At night we pay 7 cents per kilowatt hour, while during the day at peak times it can be as high as 11.5 cents per kilowatt hour. This is a 65% increase and represents a huge savings opportunity! for example if you regularly run the lights all night, a single 60 watt incandescent light bulb is going to cost you about $20 for the entire year. Converting to a florescent light bulb that gives off the same amount of light but only takes 8 watts to run is only going to cost a $1.60 a year or $10.40 in savings, which more than pays for the cost of the more expensive bulb. This is just one bulb in your home. Imagine if you converted all of the bulbs to florescent bulbs ! How much money would you save? 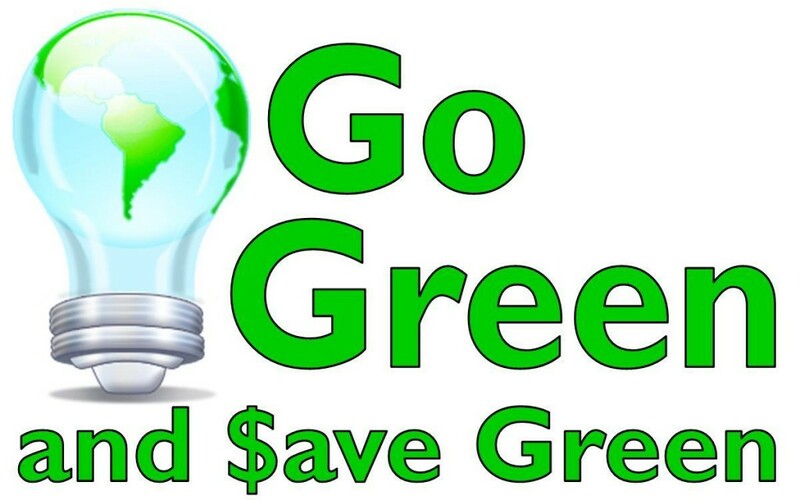 Electrical light bulbs are the least expensive to operate. Appliances with motors such as dryers and furnaces or air conditioning units consume far more electricity. This should really be the motto for home owners who are serious about reducing electricity consumption. If you cannot turn it off, at least reduce the usage so that you are reducing your electrical usage. Another example is drying your clothes. If you own a dryer and wash your own clothes, you obviously have to dry them, however by drying them on the weekend or in the evening, you can consume far less electricity. If you are not adverse to hanging your clothes on a clothes line outside, you can also save a great deal of money this way and your clothes will smell really fresh too. For many people this is not really an option so they just have to shift their clothes drying to the non peak hours. If you are not in the room, turn off your TV. No one is watching it and you are just consuming electricity! There is another benefit as well. TV’s these days have a limited life span. The more you use them the quicker the screen will burn out and have to be replaced. Turn it off when it is not being used to save money in several ways. Do you need to run the AC while you are on vacation this summer? If not turn it off! Or if you have pets at home at least turn the temperature up a bit to reduce your usage. Set your lights to turn on and off using timers so they are not on all of the time, but still give that lived in look to your home. If you leave in the winter time, you must leave your furnace running, however you can turn down the temperature a few degrees to save electricity and also heating fuel as well. A final reminder about how to reduce electricity consumption. 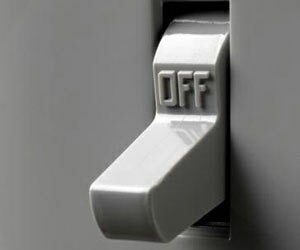 If you cannot turn it off , then reduce consumption by using it less. You can also consider shifting your usage into time frames were electrical rates are lower. If you do not know what the prices are call your local electrical utility. Find out what the rates are throughout the day. Last year for the month of July I really did not pay attention to how much electricity we were using. I received a big shock when I received the final bill for the year which is at the end of July. During the previous year we used 88Kwh of power and my bill for the month of July alone was $388! I also had a final adjustment for the year that required me to pay an additional $605! We are on an equal billing plan and were not paying enough each month. My total bill for the year was $1881 to run the pool pump, the AC and the regular lights and the furnace fan etc. This post is about how I reduced my electricity use. Need less to say I was shocked and upset, so from that time on I resolved to manage our electrical usage more carefully. 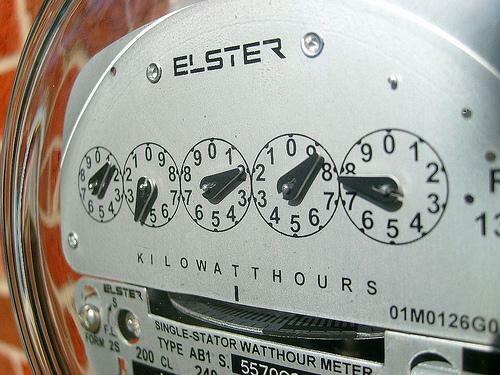 We are on the smart meter program so if we can avoid using power during the day we save 5 cents / kilowat / hour. If we do not use the power at all, we obviously save money too. Well this year our final bill total for the year was $1467 compared to $1881 , a savings of $414! Our equal billing plan was raised because of the previous year so we paid more each month and now the hydro company owes us money! One last point, the rates we pay for power also went up as well, so our savings are even greater. Sometimes it takes a shock to get you focused on reducing the use of electricity. Hopefully this post will help you before it hits your wallet. Here is a list of things that we did to reduce our electrical usage and make use of non peak rates which run from 7pm to 7am during the week and all weekend. What are the Big Power Users? The big power users are things that have motors and heaters such as the dryer and the washing machine, the dish washer, the furnace, the air conditioner, the pool pump and the jacuzzi. There may be others, however these are the main culprits for high energy use. If you can avoid using them or shift their use to between 7pm and 7am you are going to reduce your energy bill and your energy foot print. Obviously turning lights off also helps, however once you convert to fluorescent lights or LED’s the savings will be less significant. Running things such as multiple TV’s, multiple refrigerators and freezers also contribute to power usage. Turning of any and all of these devices or at least turning up the temperature a bit will always save energy can cut down on your electrical costs. We have an old chest freezer for example which we only use at Christmas time. We have more food in the house and there are more things that we need to freeze so we plug it in and use if for a month or two. It is obviously an energy hog, however the cost to buy a new more efficient freezer is far more expensive than the money we would have by getting rid of it. So we will continue to run our 35 year old freezer until it does not work any longer. We only use the freezer for 1 to 2 months of the year so it makes sense for us. How Much Money Will We Save this Year on Electrical Charges? The rates have gone up again so if we run everything exactly the same as last year we are likely going to pay more in electrical costs. The next best thing would be to generate our own power which I would like to look into as a means of reducing our electrical costs this year and in future years. We saved over $400 last year compared to the previous year. We are unlikely to get the same thing this year, however even if we break even, it will demonstrate a reduction since rates have increased. Why not try this out and see how much you can save. Stories from the past that are so true!!!!!!! He was right — our generation didn’t worry about energy foot prints. Back then, we recycled milk bottles, soda bottles and beer bottles to the store. The store returned them back to the plant to be washed and sterilized and refilled, so it could use the same bottles over and over. So they really were recycled. But we didn’t worry about energy foot prints back in our day. We walked up stairs, because we didn’t have an elevator or an escalator in every store and office building. We walked or biked to the grocery store and didn’t climb into a 300-horsepower machine every time we had to go two blocks. But he was right. We didn’t worry about energy foot prints in our day. But that clerk is right; we didn’tworry about energy foot prints back in our day. Back then, we had one TV, or radio, in the house — not a TV in every room. And the TV had a small screen the size of a handkerchief (remember them? ), not a screen the size of the state of Texas . Back then, we didn’t burn gasoline just to cut the lawn. We used a push mower that ran on human power. We shoveled snow by hand and did not use a gas guzzling pollution spewing snow blower. We exercised by working so we didn’t need to go to a health club to run on treadmills that operate on electricity. But he’s right; we didn’t worry about energy foot prints back then. But we didn’t worry about energy foot prints back then. But isn’t it sad the current generation laments how wasteful we old folks were just because we didn’t worry about energy foot prints back then? Draft proofing doorways can have almost as much of an impact as installing a new energy efficient front door. In fact if your new energy efficient door is not well installed, you may have little improvement on drafts with your new door. Before you spend the money on a new door it may be worth it to try to draft proof the existing door first! New doors can cost up words of $1000 to $2000! Why not spend $10 and try draft proofing your door first. You can use either caulk or weather strips that will seal your door and avoid letting in cold air into your home. Even if you have to also spend $50 on a can of paint to give your door that new fresh look it is well worth it. Compared to spending over $1000 on a brand new door that may still have some of the same problems! The first step is to check for drafts around all windows and doors. You should even check for drafts around electrical outlets and electrical switches that are on outside walls. You may feel a lot of cold coming through your front door, windows or outlets in the winter. A few simple steps can cut both your heating costs in winter and your cooling costs in summer. The first step in draft roofing a door is to make sure the main door fits relatively smugly against the door frame. If there are gaps at the sides or top or bottom, you’ll likely get drafts there. Check the molding around the interior when draft proofing a door. You may have a good seal in the doorway itself but air may be sneaking through the walls and out the edges of the molding. On a cold day, or even on a windy day, try turning on any indoor exhaust fans you have to draw warm air out of the house and cold air in.Use your fingers or a piece of paper held to the area you are checking to feel for any strong drafts in the molding and around the door; seal them as well. This should make a big difference not only to the drafts. If you do not have insulation in the wall around the door you may want to reconsider how you will seal the doorway and how you can inject insulation around the door. Seal up Mail Slots – Remove the Mail Slot! If you have a mail slot in your door, or even one of those pet doors as many older homes do in climates that are only moderately cold, one of the best ways of draft proofing a door is to seal the mail slot opening off all together. Place a small block of insulating material in the mail slot and seal it off so no air can pass. You will want to place an outdoor mailbox on your outside wall instead. Homes in very cold climates do not seem to have these mail slots which is a good thing. If you have a window in the door itself you’re likely losing quite a bit of heat through the frame for the window, or, if the glass is leaded, through the gaps in the lead. Draft proofing a door with an old window in it really starts with the window. For leaded glass, the first thing you should do is look for places in the lead came where it’s not snug against the glass. You can often just push the came back in place by rubbing back and forth with the end of a wooden spoon. Even placing a little transparent caulking in gaps can help. If there’s room in the window frame within the door, consider adding a piece of glass cut to the size of the opening, and use 3/8″ molding to hold the glass in place (and use clear caulk around the molding). You now have an insulating pocket of air between the two pieces of glass. Make sure your door closes tightly.This is an absolute must do. No matter how much weather stripping you add, if the door does not close tightly, you are going to have drafts. Correct any loose fitting latches prior to adding any weather stripping around the door. In some cases this might be the main reason for allowing cold air into your home. Draft proofing a door can make a big difference to your front door energy efficiency if you include installing a door threshold (sometimes called a bumper threshold) at the base of the doorway, and a weatherproofing door kit for the sides and top. The threshold screws into the bottom of the door frame, and provides a strip of rubber or other flexible weatherstripping across the base of the door. You install it so that when the door is closed the weatherstripping presses against the door and seals the bottom off. Payback in as little as two months! With the price of heating fuel continuing to go up in many parts of the country, draft proofing a door can have a very quick payback. In general, draft proofing a door and giving it a face lift with some new paint is a much better approach and lower cost solution than buying a new ENERGY STAR door. If your door has major structural problems, or you want to replace it for aesthetic or security reasons then you may have no choice but to replace it. For $50 or less in materials and a half hour or so of your own time draft proofing a door, you can wipe out most of this air leakage, leading to a big difference in your home comfort and home heating bills. And you’ll have $1,000 or more left over to spend on something you really need. For more energy saving ideas, click here. Canadians living in Ontario, and probably other provinces as well, are experiencing almost 20% increases in their hydro rates this fall! What a shock we will all get this winter when the full impact of these increases are going to be felt! If you ran your air conditioner this summer, you already received one shock, you do not need another. It is time to think about how we can reduce our utility bills , including both electricity and heating costs. This post was originally written at the beginning of October. If you have not thought about taking some steps to prepare your home for the winter season, now is the time to do so. Also in the spring some of these same steps apply if you are concerned about high air conditioning costs associated with summer time heat waves. Even in mid March in southern California, temperatures reach into the 90’s . Many people start turning on their air conditioning one day and then their heating systems the next day when a cold front blows through. In the US, the U.S. Energy Information Administration predicts that home heating oil, natural gas, and electricity will cost 2% to 11% more this winter than last. Getting your home prepped for the season is crucial. Canadian homeowners are being hit with a 20 % increase this fall. Many new devices link to the Internet that let you adjust the temperature remotely on your thermostat if your are going to be late getting home. Say you’re stuck late at work. Go online with your iPhone or smart phone and tell the system to stay at 60° F of 18C for a few hours longer, thus saving even more. Use your iPad, iPhone or iPod to reset your temperature of your home, start your meal cooking etc. 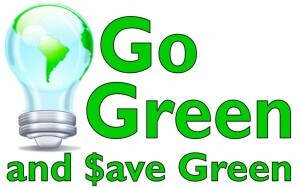 Many people do not pay attention to their energy costs. However with gas prices going up, hydro rates increasing and heating oil increasing, it is time for all of us to take note. Money you save on energy can be used for something else. On a $2000 annual bill for electricity, saving 10% means you have $200 to spend on something else. If you follow the list we mentioned above, you can easily save 10% on your annual energy costs! 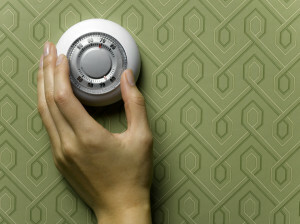 Turning down the thermostat saves heating fuel usage and also electricity because your furnace is not running as often. You save twice in this example! The same goes for plugging gaps around windows and doors. One of the big complaints around our family is the drafts that we feel during the winter. This seems to occur especially just before the furnace comes on. Cooler air is sinking to the lowest point and if you are in the middle of one of these places, you are going to feel cold. Consider running you fan on low to force a continuous circulation of air that stays at a constant temperature. Another consideration is to invest in a heating blanket for your bed or for even lounging around the house watching TV. Some people would never consider this approach. However you can leave the rest of the home cool and still be toasty warm under the blanket. Hopefully this post will help you save some money as we try to do on every post on this site. Let us know of your personal ideas about reducing your energy costs for this winter and next summer as well. Note we will delete spam comments. For more energy saving ideas, click here.